This blog post contains edited excerpts from our free whitepaper: The Marketer’s Guide to Pinterest. Get the full guide for more details on how to successfully incorporate Pinterest into your social media marketing strategy. When you think of social media marketing, you probably think of Facebook, Twitter, Google+, LinkedIn. It’s easy to overlook Pinterest, but it shouldn’t be. At three years old, the pinboard-style social network is already worth $3.8 billion. Given that Pinterest caters to humans’ visual nature with a clean aesthetic and beautiful pictures, is it any wonder that 1 in 4 consumers report spending less time on other social media platforms in favour of Pinterest? “Pins” are the images and video posts that people post on Pinterest. 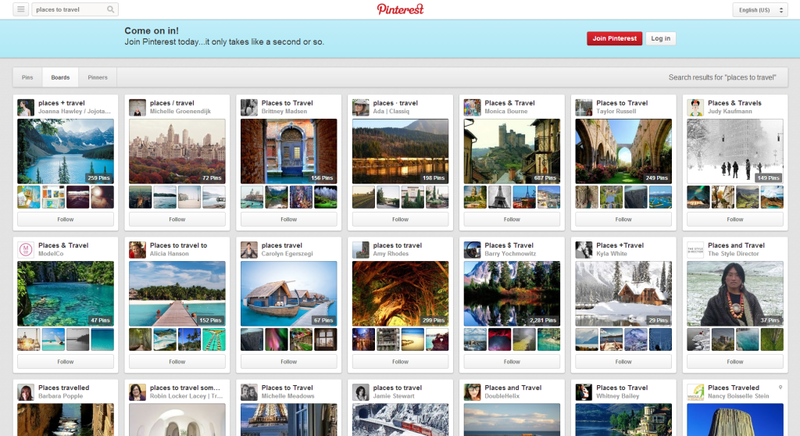 Disparate pins can be organized by category into “boards”. Much as with Twitter, users can follow users whose pins they like, or they can follow particular boards. “Followed” content will show up in users’ home feeds. Pinterest users can comment on pins, “like” pins, or “repin” content to their own boards. Pinterest is a great platform for showing off product shots. But you’re not limited to pictures or videos – you can pin blog posts as well. The pinboard social network is a great tool to drive traffic to your website. By posting content to Pinterest, you share it with a more diverse and wider audience than you would if you were relying on your website alone. Think of it as a mall. In a mall, there’s the shopper who knows exactly what product they want or where they want to shop, and they beeline for it. And then there’s the shopper who doesn’t know what product they want or at which store they want to shop, so they wander around the mall until something catches their eye. Now, if we transfer that example to the online world, your website is great for the first types of shopper, but Pinterest is great for drawing in the second kind of shopper. It’s an easy way for you to help people discover you or your products—people who might not otherwise have heard about you. And because 80% of all pins are repins, you can imagine how far users might spread your content, from person to person and even across platforms, because a Pinterest user can choose to have their repins shared automatically on Twitter and Facebook. Does your website already have sharing buttons for other social networks? If you add a “Pin It” button as well, Pinterest will automatically grab the URL of your page when your content gets pinned. You can also add a link to your website directly from the Pinterest platform. Simply enter your website and click “Find Images.” When your content gets pinned like that, it encourages viewers to visit your content at the source (your website). One advantage of Pinterest over other social networks like Facebook, Twitter or Google+ is that content on Pinterest has a longer life. On Twitter, for example, new posts are quickly getting pushed further and further down the page by newer posts. Generally a post will be viewed when it comes out, and then rarely afterwards. On Pinterest, however, because users love repinning content, content is often made fresh anew, meaning traffic is driven to your website not only from recent posts but old ones as well. To illustrate the traffic-driving benefits of Pinterest with real-life examples, consider that Allrecipes.com, which has been on Pinterest since 2011, reported that Pinterest now drives 6.5 times more traffic to its website than Facebook. Likewise the mass media group Hearst, which reported that Pinterest Pinterest drove more traffic to their website than Facebook and Twitter combined. Pinterest drives up your sales. Half of females and 37% of male users have purchased something after seeing a recommendation on Pinterest. The wonderful thing about Pinterest is that it doesn’t only display products; it also links back to them on your website, where people can purchase them. Need hard data to believe in Pinterest’s power to boost your sales? Since starting to use Pinterest for branding and marketing, the online marketplace Etsy has seen a 20% increase in weekly sales. Even more exciting, Pinterest and Target have launched the Target Awesome Shop, a Pinterest-based website that showcases products that are most-pinned items on Pinterest as well as best-reviewed items on Target.com. Items that are especially well-received on Pinterest are marked in-store with a red tag to indicate their popularity, in order to help shoppers make purchasing decisions. Pinterest is no longer confined to an online presence; its value now extends into brick and mortar stores. 19% reported that they spend more money during the holidays because of Pinterest. If you look at the infographic above, you’ll notice that 70% of Pinterest users who follow brands on the pinboard=style social network feel more connected to those brands. Pinterest fosters community-building and helps strengthen your relationship with your customers. It’s almost as if the visual connection created through Pinterest between you and your customer makes the relationship more tangible and therefore more real. Use your Pinterest profile as a forum for interaction with your customers. Pinterest is a great tool for any social media marketing campaign, even if your brand is already on other social media sites. The pinboard social network has its own way of getting you found, driving traffic to your website, increasing your sales and engaging your customers. Download the full Marketer’s Guide to Pinterest to get started! 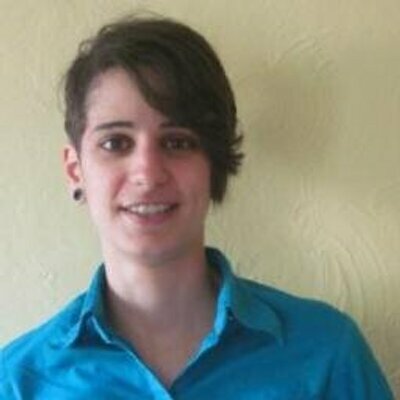 The Marketer’s Guide to Pinterest was written by Brittney Stephenson.